Picture posted with LifeCast... with thanks to Swiss Miss for the heads up. 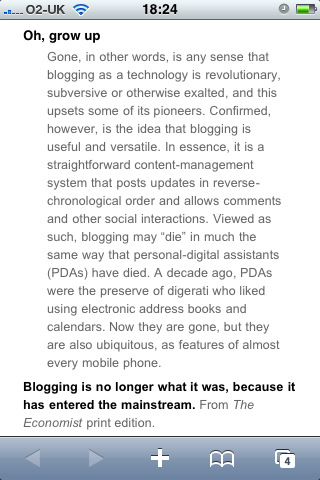 Maybe, we, who are still blogging, are still the innovators, b/c everyone else is onto the next big fad! Maybe i am really buzzed on wine right now and don't really know what i am saying! Know what i mean?! LOL! Thomas, Also, can you add to your post options the ability to post without open id like other blogger blogs do? I sign in and ask to be kept logged in for 2 weeks but it never works.